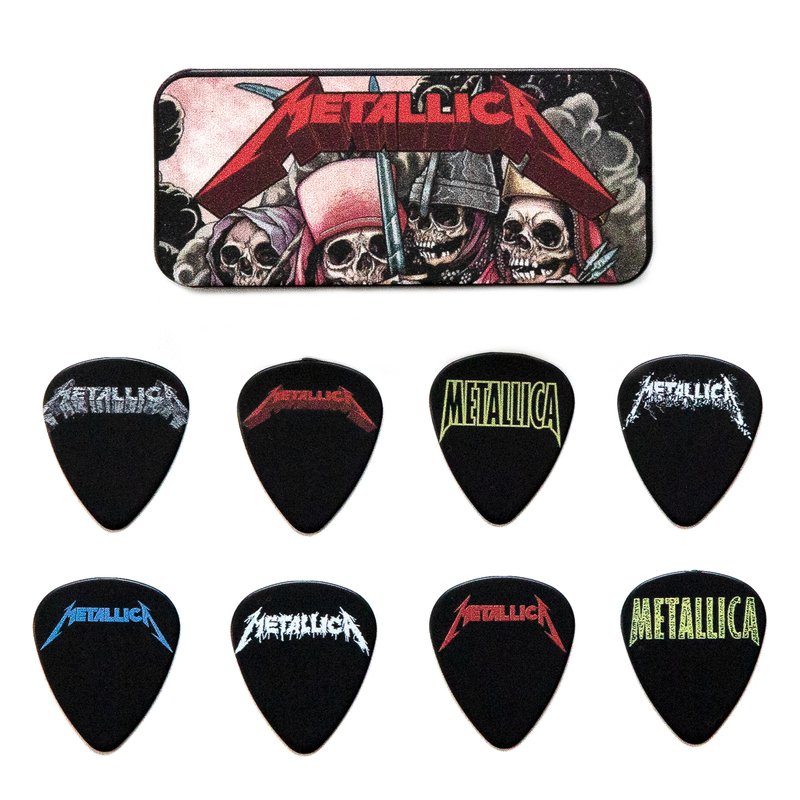 Pick tin contains 8 guitar picks from various songs artwork. A must have for collectors! 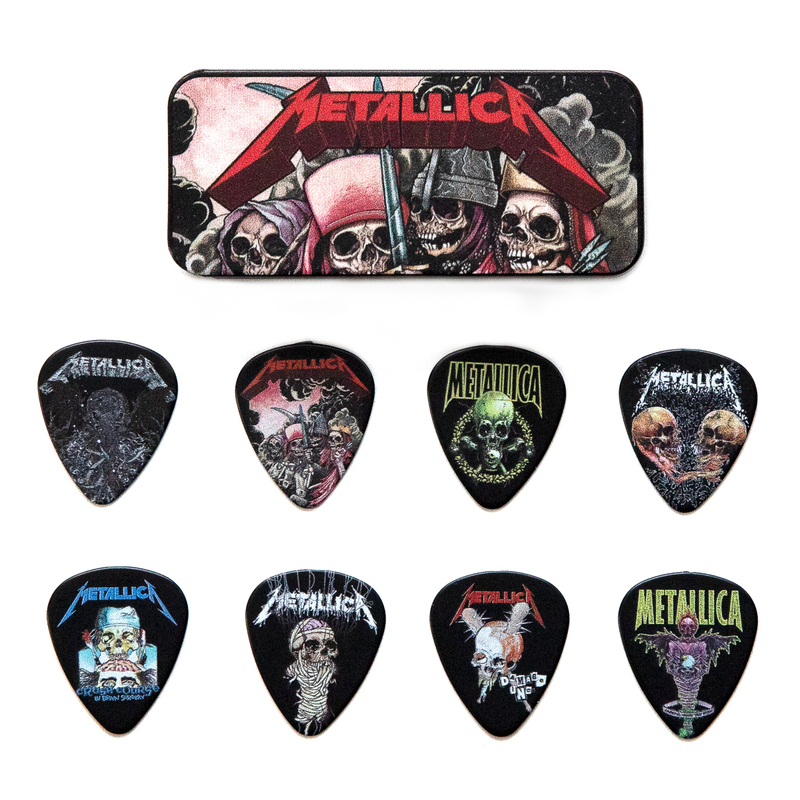 30th anniversary pick tin featuring skulls artwork! The tin includes six picks, each of them featuring a different design. Artwork by Tony Squindo. Made by Dunlop.